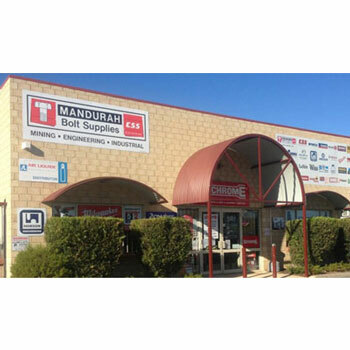 Mandurah Bolt Supplies (MBS) is located 75kms south of Perth in Western Australia and was established in 2001 to cater for the growing need for a specialist fastener supplier in the Peel region. A new office, showroom and warehouse complex was opened in 2004 and has allowed MBS to stock a much broader range of Fasteners, Engineering and Industrial supplies. They are ideally located to service the Construction, Mining, Marine, Agriculture and Engineering sectors and have quickly become a major solutions provider to many local and statewide businesses. With technical advice from qualified trades people with industry backgrounds, MBS guarantees you first class service and competitive pricing.